Nanoscience will make major contributions in health care, energy and many other areas, researchers say. CREDIT Nanoscience will make major contributions in health care, energy and many other areas, researchers say. Nanoscience research involves molecules that are only 1/100th the size of cancer cells and that have the potential to profoundly improve the quality of our health and our lives. Now nine prominent nanoscientists look ahead to what we can expect in the coming decade, and conclude that nanoscience is poised to make important contributions in many areas, including health care, electronics, energy, food and water. Nanoparticles can be designed to target infectious disease. Nanomaterials may target the lungs to deliver potent antibiotics and anti-inflammatory drugs could fight bacterial and viral infection. Nanoparticles may lead to more effective treatments of neurological disorders such as Parkinson's disease and Alzheimer's disease, as well as arthritis. The emerging field of immuno-oncology is likely to produce advances that will activate the body's immune system to attack tumor cells. Important advantages of nanoparticles are that they can bind selectively to receptors over-expressed on tumors and may be delivered to the same cell at a predetermined dose and timing, although significant scientific challenges remain. The microelectronics industry has been manufacturing products with nanoscale structures for decades -- a market currently valued at approximately $500 billion annually. The researchers say there is still plenty of room for major improvements, including many opportunities in creative design of devices for data processing and information storage. Nanotechnology is likely to capture, convert and store energy with greater efficiency, and will help to safely produce sustainable and efficient large-scale energy production to meet the increasing worldwide demand for energy. Nanotechnology principles are being used in water desalination and purification, and nanotechnology is poised to make major contributions to supplying clean water globally. Technology is likely to become increasingly widespread, with the proliferation of "nano-enabled smart devices" in such areas as telecommunications, consumer staples and information technology. 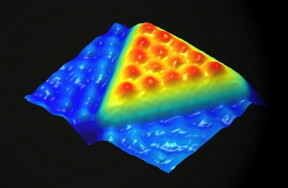 Nanoscience advances may lead to advances in food safety and reductions in food contamination. Sensor technologies may be designed that exploit changes at the surface of nanostructures so they can detect disease-causing pathogens before they spread. Nanoscale sensor technologies also may lead to improvements in agrochemicals. The researchers discuss the need to safely implement new nanomaterials and present ideas for doing so. They also call for researchers to communicate their research with the public. Nanoscience has brought together scientists, engineers and clinicians from many fields, and will continue to cross many academic boundaries. "The field is poised to make contributions far beyond the nanoscale worlds that we have explored so far," said Weiss, who is also a distinguished professor of materials science and engineering at UCLA. "This is the age of discovery for nanoscience and nanotechnology." The researchers advocate strong federal support for nanoscience, and predict significant progress toward major scientific goals will be achieved by the end of this decade. They also advocate basic research to produce currently unforeseen discoveries.